"Colors of Ohm aims to bridge the gap between people of color and wellness, using community and education." We first heard about Colors of Ohm earlier this year and our immediate reaction was, "YES!" You can never have too many organizations dedicated to creating healthier communities of color. But what really got our attention was how passionate Cydney is about the cause. What started as a "What if?" idea has already grown into an online community of nearly 1,500 people in six, short months. 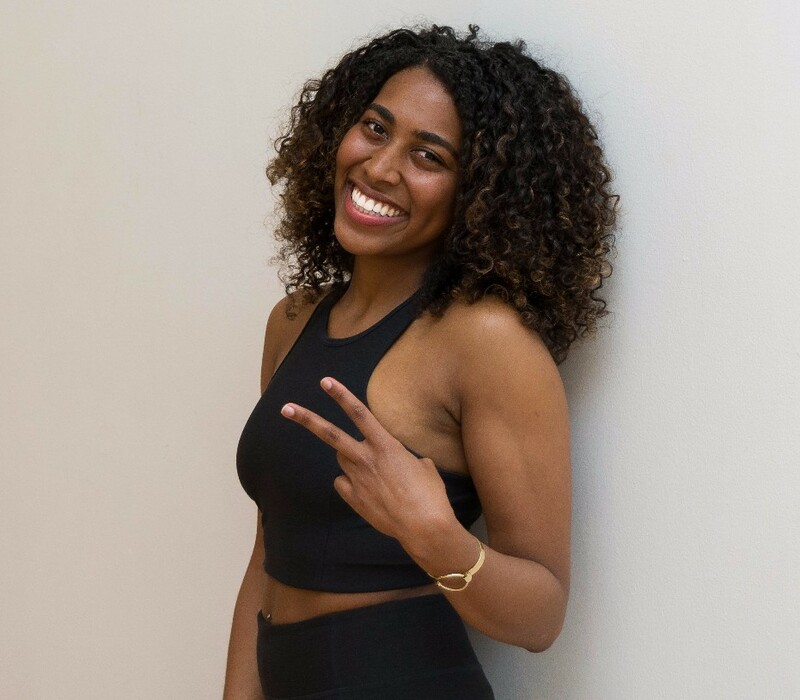 And now, Cydney wants to take that same spirit of community global as she plans a yoga retreat in Bali for April 2018. Check out our conversation with her below. How did you come up with the idea for Colors of Ohm? What inspired you? Colors of Ohm was birthed out of a deep exploration of self. I'd just completed a 200 hour Yoga Teacher training and begun my journey as a practitioner and instructor. I began to notice a beautiful change within me. I wanted to share this feeling, specifically with people within my own community. People of color are often left behind in the wellness world and I thought, "Hey, how about creating a collective - no, a community - where we can grow and flourish together under the umbrella of wellness?" ...and that became Colors of Ohm. What do you think the importance of your organization is in today's social and political climate? One of the main reasons I created Colors of Ohm was the fact that so many wellness studios in [New York] city are, in fact, white-washed and often neglect to speak about POC issues, including discrimination and racial injustice. I wanted to create a space where instructors and students alike could speak to those topics and incorporate a sense of healing in their classes -- a space where we can openly deconstruct and vent, because that's something many of us lack access to. What's next for Colors of Ohm? I hope Colors of Ohm grows organically over the next couple of years. I envision annual and bi annual events that allow POC who are interested inthe wellness space to network and cross-pollinate, allowing our community to naturally grow and benefit from all of the services provided. And before we go, what does BRN GRL WIN mean to you? When Brown Girls win, everyone wins. To me, BRN GRL WIN means women of color bettering themselves mentally, physically and spiritually. By excelling in each pillar of their lives, Brown Girls create a better community, a better city, a better country -- and a better world around them.